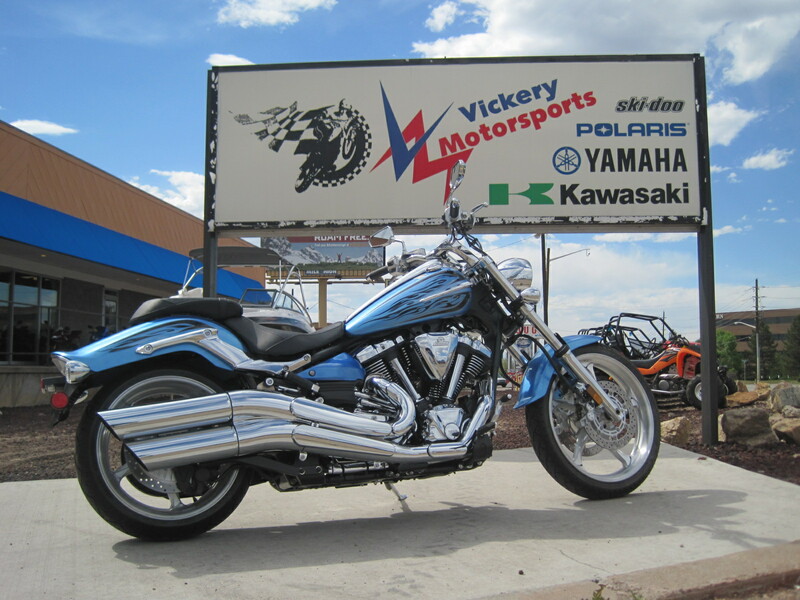 Come see the Star Raider S V-Twins for sale in Denver, Colorado, at Vickery Yamaha. One of the best V-Twin cruisers ever made, the Star Raider is a 1900cc big twin that runs as hot as it looks. Come to Vickery Yamaha in Denver and take a test ride! Summer is almost here, and there’s no better way to enjoy the great Colorado weather than by riding a new motorcycle! Vickery has seen a surge of interest in all of our V-twins, but most noticeably in our biggest Big Twin, the 113Cu Inch Raider. If you want to buy a Yamaha Raider in Denver, now is the time. The Raider, and Raider S with extra chrome, are bikes that seem almost custom made for our style of riding. They look great, they’re super comfortable on long rides, and the powerful 8-valve Counterbalanced Twin motor serves up plenty of power for climbing any mountain pass. The Raiders are fuel injected, too. This means that the injection is always set perfectly for altitude, air density and temperature. Fuel injected motors burn less fuel, make more power, and start much easier. You’ll never want to own a carbureted bike again after riding the Raider with EFI. The Raider also has one of the best balanced, easiest handling chassis of any cruiser. Many “American Made” Cruisers tend to steer like a dump truck, a problem you won’t experience with a Raider! Take one for a test ride, you’ll see what we mean. Vickery Motorsports has loads of new Raiders to choose from. Stop by today and check out the full range of colors and options. The Yamaha Raider is the top of the line V star, and one look will tell you why they are so popular in Denver. 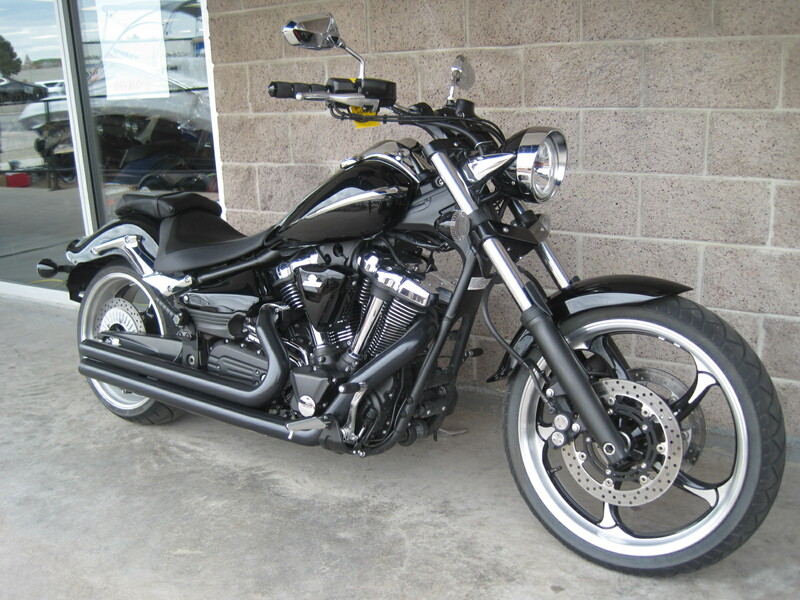 This entry was posted in Buying a Motorcycle and tagged 113 Cu In, Colorado, Denver, Raider 'S' Model, V-Twin Cruiser, Yamaha Star Raider by vickerymotorsports. Bookmark the permalink.